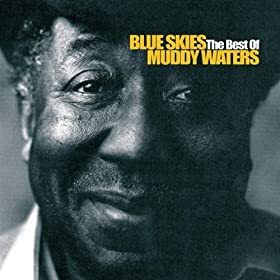 As I later learned, this was a compilation comprising tracks from the three smoking studio albums Muddy Waters cut with Blues Sky records: Hard Again (with James Cotton), I’m Ready (with Big Walter Horton and Jerry Portnoy) and King Bee (with Portnoy). It also featured two live tracks from Muddy “Mississippi” Waters – Live. So basically, the first straight blues album I bought featured three of the best blues harpers you could expect to find in a studio in the mid-70s. I didn’t know it, but I’d just purchased a blues harmonica master class. Rarely does a single compilation cover so vast an array of skills and techniques in blues harmonica. It’s a complete starter pack to playing harp: aside from hosting treasurable performances from three top harmonica instrumentalists, from the point-of-view of a beginner blues harp we’ve got the ‘Mannish Boy’ and ‘Hoochie Coochie Man’ riffs on display, we’ve got the fierce James Cotton wail, the sleek, deft sidemanship of a young Jerry Portnoy, and eloquent, horn-like performances from Big Walter that showed there was life in the old ram yet. It also gave me a taste for a variety of playing styles. There are a handful of stellar 1st position tracks, including James Cotton on ‘I Want To Be Loved’, Big Walter Horton on ‘Hoochie Coochie Man’ (trading licks with Jerry Portnoy’s amplified 2nd position harp), and a fantastic showcase solo from Portnoy on the upper octave on ‘Too Young To Know’. Third position also gets a cameo, with Portnoy giving a blistering 3rd position performance on amplified chromatic on ‘I’m Ready’ (backed up here by Big Walter playing acoustic 2nd position). I still find myself listening to tracks like ‘Deep Down in Florida’ and ‘Baby Please Don’t Go’ (Portnoy ripping a new hole into that song) and wondering how the hell they got so good. Maybe it’s God, protecting me from hubris. Even beyond the harp, the albums that supplied these tracks are superb, especially Hard Again and I’m Ready. Fun, feisty and powerfully produced by Johnny Winter, they see Muddy return to his absolute best, bouncing out of the bargain bins and back into the spotlight – and washing away some of the taste left by that psychedelic flop, Electric Mud. These days, you can buy them in a box set, with a few bonus tracks and great liner notes from Bob Margolin on the stories behind the albums. Best part: Swaggering through the streets of Welwyn Garden City wearing my headphones, smiling at all the middle-aged dads and soccer moms while James Cotton was tearing a new mindhole between my ears. Only regret: Listening to the album while shopping for groceries. Never try to accomplish anything to the rhythm of a slow blues like Deep Down in Florida. It’ll take you forever. Advice for first-timers: This is a compilation not an album, and it features THREE harmonica players – not just one dude with a schizoid sound. It took me years to figure that out. What album got you hooked? Let us know in the comments. And stay tuned for upcoming album posts from the rest of the Harp Surgery team. Being as I dont own a CD player and rely upon MP3s its rare that I get to listen to whole Albums these days. I tend to hunt down tracks with good Harp licks. Started by listening to Zep ( Nobodys fool, When the Levee breaks etc) I know this makes some of you shudder but it works for me. I then found Muddy Waters live – Mannish Boy, Champagne and Reefer just blows me away. Then I hear The guy who plays with Joe Bonamassa on “Burning Hell”. Lots of good stuff out there. Ive only been playing this last 16 months so still getting started and setting my references really but I do find that Im hearing Harp for the first time in songs Ive listened to for years -decades. I watched that film “Control” about Ian Curtis from Joy Division the other night. There was a scene where he was listening to Jean Jeanie – Id never heard the harp in that before – but there it was loud and clear! Does any one know who plays Harp on Creedence Clearwater Revival’s “Graveyard Train” off their Bayou Country album? I think this might be my new projct. Wikipedia has it as John Fogerty himself. I don’t know for sure, but it’s likely due to his multi-instrumentalism (Blue Ridge Rangers, Centerfield etc), isn’t it? I don’t know the song but I do know John Fogerty played serviceable harp. Well, serviceable for a guy who grabs a harp in the right key and turns a song into a 12-minute live chug-fest. Well… in my case the reccord that hooked me on the harp was Paul Buterfield Blues Band’s Incense, Herbs, Oils. Bought it three years ago on 180g vinyl reedit. On that same day I must have listened to that record some 50 times in a row. The day after I went and bought a cheap harp in the key of C and started to try and imitate Paul’s killer licks, and that tone… That’s true harp tone!!! 3 months later I accidentally bumped into a friend who happened to be playing the blues with a guitar and joined him playing we jammed as hell that night!… not long after, together we started an R&B band and we still going to this day. I play the harp every day since I met Mr. Butterfield’s music… That’s how I met this fantastic instrument that I’ll be learning to the day I die, the diatonic harmonica. You were very lucky to be of that special era… I have grown to appreciate the impact Mr Butterfield must have had. Right time, right place. the album the raw harmonica of charlie sayles is a good starting point and I have the original vinyl. Does anybody know who plays harp for the movie, “A Walk in the Woods”?